At first, I think I decided to register because the school looked very professional, then I contacted the school and it was even more convincing! I admit there was a little bit of a language barrier for me to overcome and it got me nervous at times, but overall the experience was EXCELLENT and I would highly recommend it. I was skeptical at first and didn't really think I would learn the trade in only 5 days. Also, I thought YouTube and blogs would help; but after attending I would find out that I should have came a long time ago. Rob is the BEST instructor EVER!!! …and killer sandwiches too! Thank you! 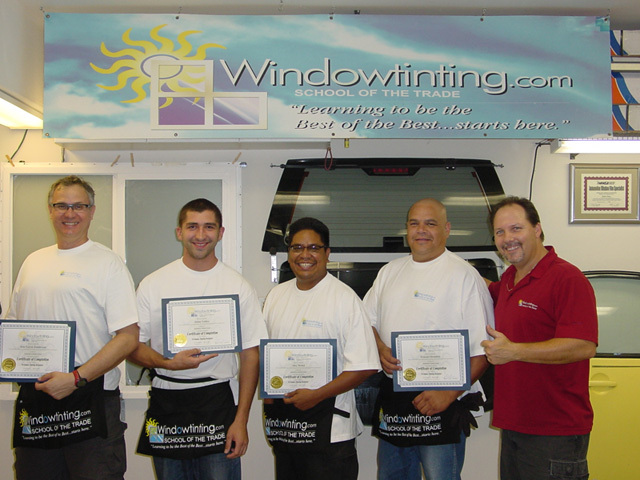 Bottom line: You want to learn how to tint…this IS the place to come! Overall the program is so understanding and improves your mentality to move forward in this trade. I know see how there is plenty of work out there just waiting for me when I return!